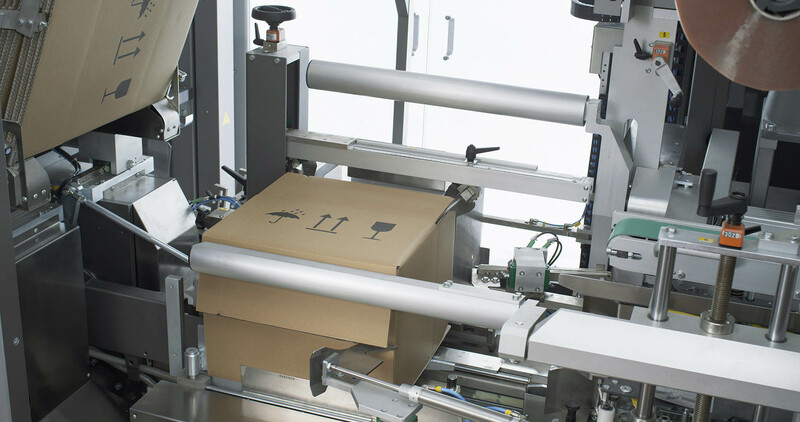 An ideal solution in case of end-of-line space restrictions, this integrated system comprises all the functions of a side-loading case packer and palletiser for single or bundled cartons and cases. 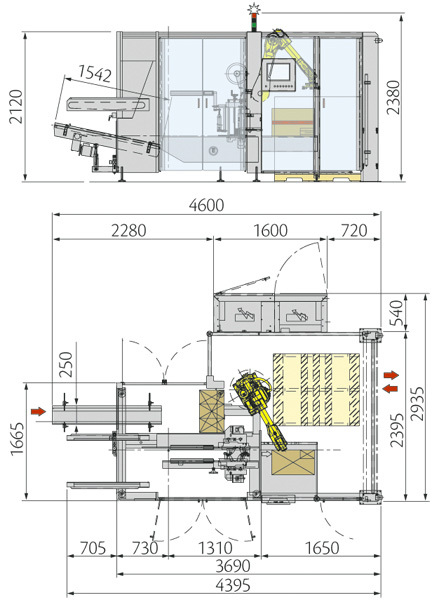 The cantilever design for improved accessibility, along with many ergonomic features and attention to where machine components are positioned, help operators either to intervene on processing parameters or for cleaning purposes. Equipped with a single, easy-to-use PLC (Siemens standard version) unit, which interacts with the Fanuc robot processor, size changeover parameters are centralised and operations are made simple and straightforward. 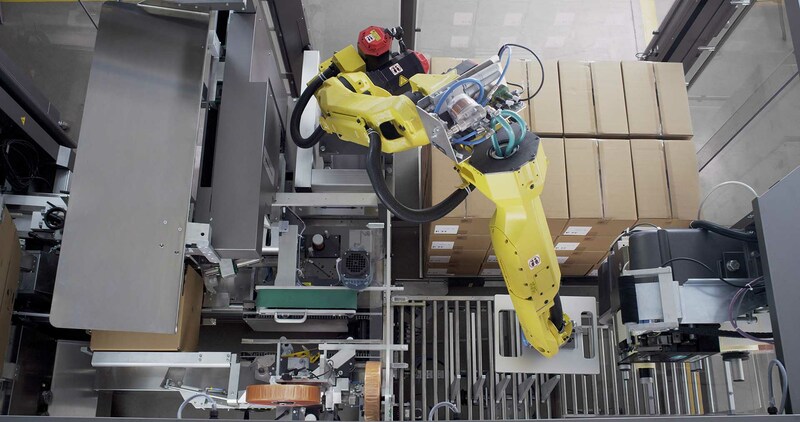 A six-axis Fanuc robot places the cases on the pallet in the single floor pallet station according to a pre-set, memorised pattern. 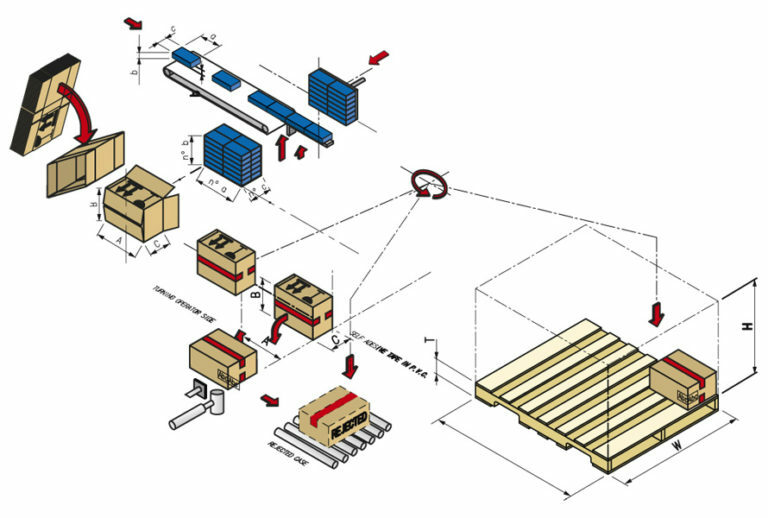 When a pallet is complete, the robot starts to place cases in the buffer area, following a special trajectory without interfering with the palletising area. 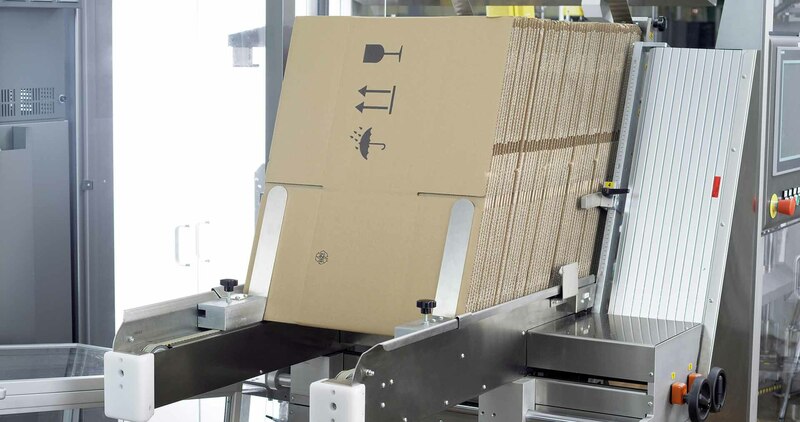 This enables the operator to replace the full pallet with an empty pallet without interrupting the process. Ideal for easy line clearance. 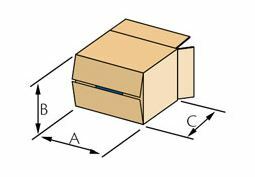 All case flaps are positively closed and verified. Case fully closed before transportation and taping. Cartons pre-stacking station to collate layers of product during the pusher strokes. 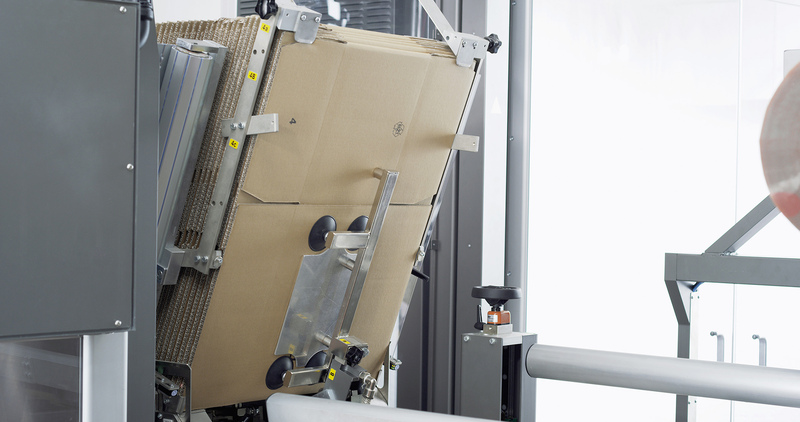 Movable hopper to follow the cartons collation up into the case. Tool-free changeover for increased speed and ease-of-use. Suitable for track and trace purposes. 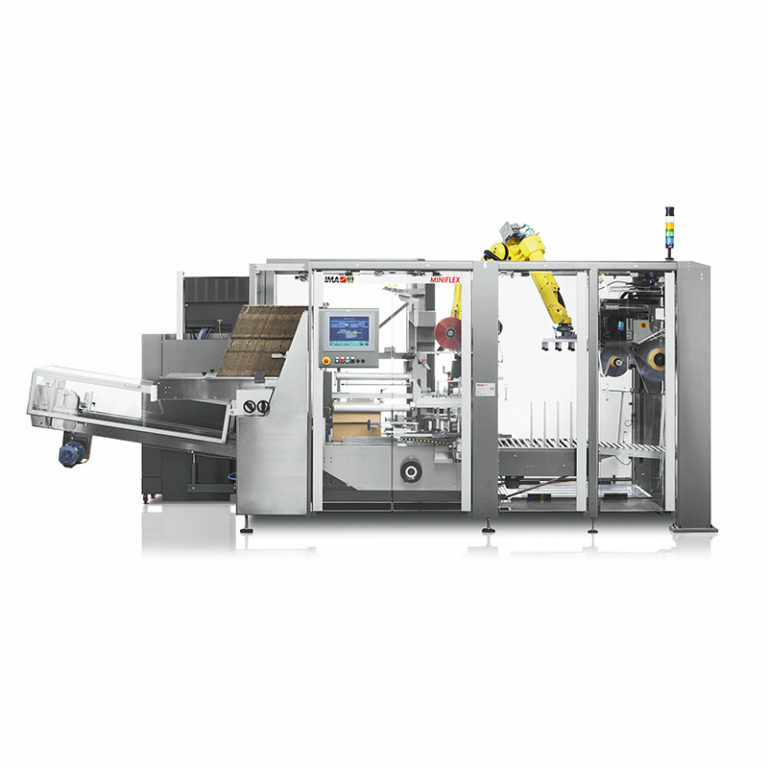 Further optional groups like liftable pusher to give total visibility of carton layer, labelling module, rejection system. 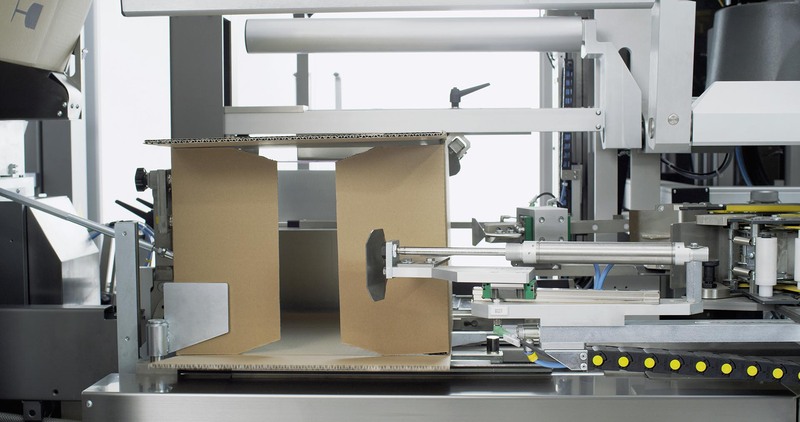 The stratification station is designed to handle package surfaces with utmost care. This is important for customers in the pharmaceutical industry and in other market sectors where the quality of external packaging enhances the value of the product.